Certified by the American Board of Radiology in 1995, Dr. Douglas DeCorato completed his fellowship in Magnetic Resonance Imaging at the New York University School of Medicine in 1996. He is a graduate of SUNY Health Science Center at Brooklyn and performed his residency at St. Luke’s-Roosevelt Hospital Center, where he was Chief Resident in his final year. 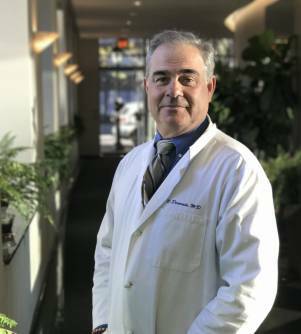 Dr. Douglas DeCorato has been the director of Body MRI at both the Phillips Ambulatory Care Center of the Beth Israel Medical Center and of Beth Israel Hospital North. He is a member of several Scientific and Medical Societies. He has written and co-authored numerous articles and presentations on MRI and MRA. In addition, he has authored several chapters in medical textbooks and currently serves as Clinical Assistant Professor at The New York Hospital and Clinical Assistant Professor of Radiology Weill Cornell Medical College, Cornell University.